I became addicted to movies at a very young age. I have seen literally thousands of movies in my lifetime. They are a great escape of mine. Obsession, addiction, distraction, love, friend. Whatever you want to call it, it got me. I have been infected by the movie virus and I love it! I have kept a movie journal since the very beginning of 2004. I wish that I had a journal of every movie that I have ever watched, but the best I can do is the last 9 years, and counting. Every time that I watch a movie, I write down the title, where I watched the movie, with whom I watched the movie, and my rating of the movie on a scale of 1-10. Here is the documented obsession, movie math if you will. In 2004 I watched 341 movies. 2005=415 movies. 2006=489 movies. 2007=540 movies. 2008=349 movies. 2009=314 movies. 2010=401 movies. 2011=214 movies. 2012=169 movies 2013= 211 so far to date. For a grand total of 3,443 movies watched so far in the last 10 years. On top of documenting my obsession, I have also kept all of my ticket stubs to most every movie that I have seen in the theatre in the last 10 years. I even was collecting my movie stubs before 2004. 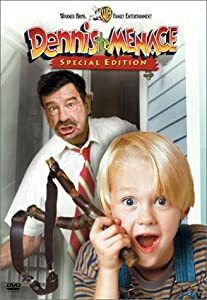 Unfortunately I don’t have all of my stubs, but the earliest one I have dates back to Dennis the Menace from the year 1993. I was 7 years old at that time. Oddly enough I remember watching that movie in the theatre like it was yesterday. My Dad brought my older brother Taylor and I one weekend evening. Hard to believe that was 20 years ago, but I have the stub to prove that I was there! I don’t keep a journal. I just keep a movie journal. I can look at my movie journal and tell you what else I did on that day usually, for the most part. Watching movies are not only just about watching the movie. Watching movies are about who you watched the movie with and where. When you ask someone if they have seen a certain movie, one of the first things they respond with are who they saw the movie with and where. They tell you this before they tell you anything about the movie, usually. A great movie can be even better when you see it with someone great. Sometimes you might like a movie better the second time when you watch it with somebody different than who you saw it with originally. Also, if the movie is pretty horrible, the company that you are with can make it at least bearable or watchable. Most people remember who they saw their favorite movie with for the first time. Maybe this is the 13th step to my Movies Anonymous program. Take the opinion of a real movie fiend and get it out there in the world. If you tell me your favorite movie, I can usually tell you 10 movies that I would recommend that you watch based on your answer. Or maybe 13 movies. Whenever I try to list my top 10 favorite movies, I always end up having more than 10 on the list. Maybe 13 movies? So why did I change my site from 13movies to brockingmovies? 13movies.com was already taken and brocking has a nice ring to it. My movie reviews are pretty brocked up. is that 3,309 different movies? if you saw Dark Knight 5 times. is that 1 entry or 5? There are some repeats in there, don’t get me wrong. I just document every movie that I watch no matter how many times I watch it. It’s probably more like 2,500 different movies. To answer your question that would be 5 entries. To go back and figure out how exactly how many different movies would be a lot of work. is your list still on paper? why don’t u use a spreadsheet and then you can sort by whatever u want.